Although it might not be good for our diets, we do love candy. Sweet, crunchy, chocolate, caramel, salt, licorice, gum, coconut, well… you get it, we love it all. 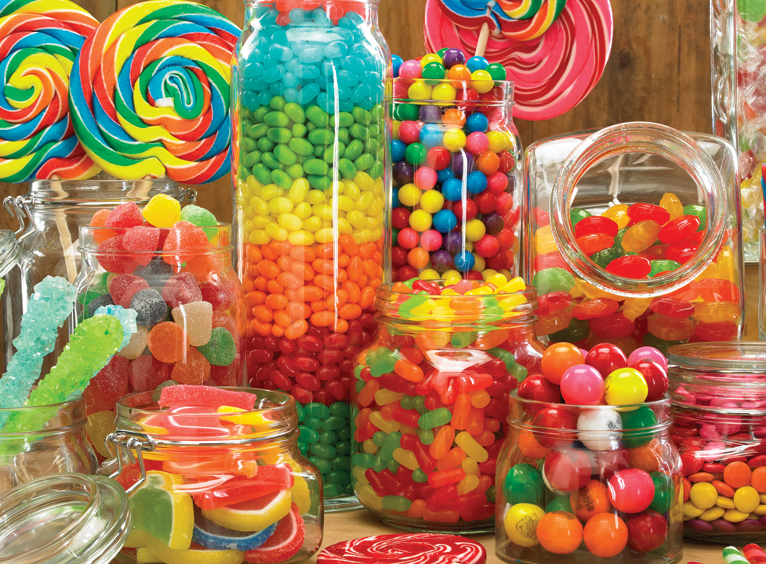 Despite concerns about the impacts of candy on health and wellness, according to the National Confectioners Association, last year an estimated $33.6 billion was spent on candy in the U.S. This is an increase of 9.8% from spending in 2010. Traditionally, candy was targeted to children, but with a growing epidemic of childhood obesity and diabetes, candy is shifting to a new target market. It’s no longer just children who buy candy; new companies are launching sweet shops specifically for adults who have a taste for luxury, and a bigger wallet to spend than children and teens. Adults have a more developed palate, demand higher quality, and are willing to pay for it. They also don’t want to just “shovel candy into a bag” but instead desire high-end packaging and store experiences. Yes, indeed, candy is still dandy. Poll students: what are their favorite candy bars? Are these the same as when they were kids or have their tastes changed? On average, how much do they spend in a week on candy products? Discuss the differences between the target markets of “children” vs. “adults.” What are the wants and needs of these two target markets? Divide students into teams. Using adults as the primary target market, have students develop a marketing mix for an adult candy product: product, price, place, and promotion. Make sure the teams name the new product as well as develop a packaging design. Debrief the exercise by comparing the new products.